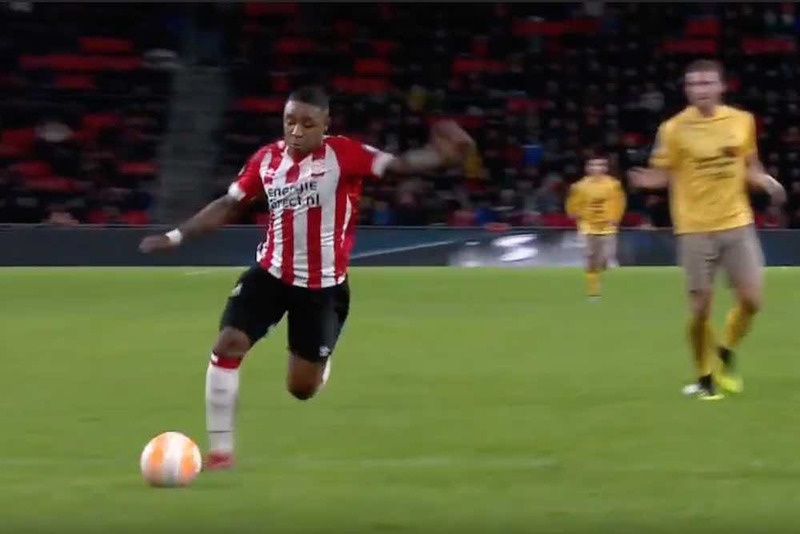 Manchester United have been scouting PSV Eindhoven winger Steven Bergwijn with a view to signing him, according to The Sun. The report claims the Red Devils are considering making a £25m this month, with Liverpool, Torino, Bordeaux also said to be keeping tabs on the youngster. The 21-year-old is a left winger, who can also play on the right or as a central striker. He has two caps for the Netherlands, making his debut in the UEFA Nations League win over Germany last October. He had previously represented the Netherlands at every age group from under-17 up. His club career started in the youth ranks at ASC Waterwijk. He joined Ajax in 2009, but left in 2011 after a clash with one of his coaches. He joined PSV and has been there ever since. His senior debut came in 2014. Bergwijn has scored nine goals in 16 league games so far this season, and that form has increased interest among other clubs, including United. He played against Tottenham Hotspur in PSV’s 2-1 Champions League defeat at Wembley in November. Bergwijn signed a new contract at the start of the season and is tied to PSV until June 2022. Any move to Old Trafford would increase speculation about Anthony Martial’s future at the club. In Martial and Alexis Sanchez, United already have two left-sided attackers who can play through the middle.